Orlando, FL – Ancient wars and modern wars have many things in common – but foremost is the suffering of soldiers. 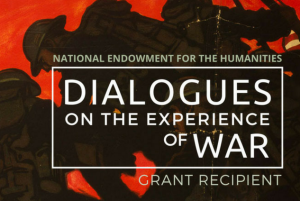 Valencia College is proud to present Bryan Doerries’ “Theater of War” project, which presents readings from ancient Greek plays as a catalyst for town hall discussions about the challenges faced by today’s veterans and their families. On Oct. 29, from 2:30 to 4:30 p.m., Doerries and fellow actors Josh Hamilton (of “Manchester by the Sea” and “Madam Secretary”) and Marjolaine Goldsmith (“Compromise” and “AfterWords”) will perform a dramatic reading of scenes from Sophocles’ Philoctetes, which will be followed by a panel discussion and a facilitated town hall discussion. Sophocles’ Philoctetes tells the story of a decorated warrior who is abandoned on a deserted island because of a mysterious chronic illness that he contracts on the way to the Trojan War. Nine years later, the Greeks learn from an oracle that, in order to win the war, they must rescue him from island. When they finally come for him, the wounded warrior must overcome nine long years of festering resentment and shame in order to accept help from the very men who betrayed him. The story of Philoctetes has touched many audiences, who are conflicted about the interaction of the suffering soldier and the conflicted caregiver. Doerries’ project revolves around presenting such readings, especially to audiences of students, medical professionals and the nation’s military commanders. In January 2018, he and a team of actors performed readings of Sophocles’ “Ajax” at Valencia’s West Campus. This event seeks to bridge the divide between veteran and civilian populations as well as offer a platform to address the universal experience of coming home from war. The event is free and the public is welcome to attend.